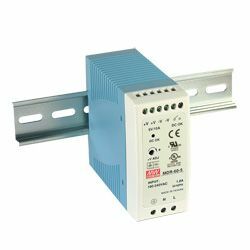 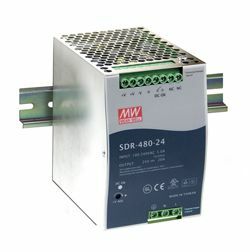 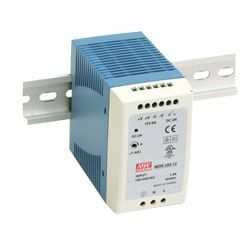 SDR-480 Series is a 480W slim din rail power supply featuring 94%+ high efficiency in a slim 85mm design. 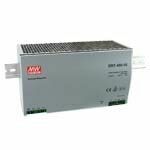 A full input range switcher with built in PFC function and 720W peak power ability for 3 seconds SDR-480 also has standard functions that include DC OK relay contact, on panel LED indicator, and short-circuit, overload, over voltage, and over temperature protections. 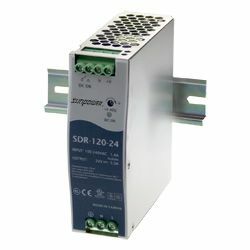 SDR-480 Series also fulfils the requirement of EN61000-3-2 for harmonic current and complies with GL and SEMI F47 for marine and semi-conductor related usage in addition to UL, CUL, TUV and CE certifications.